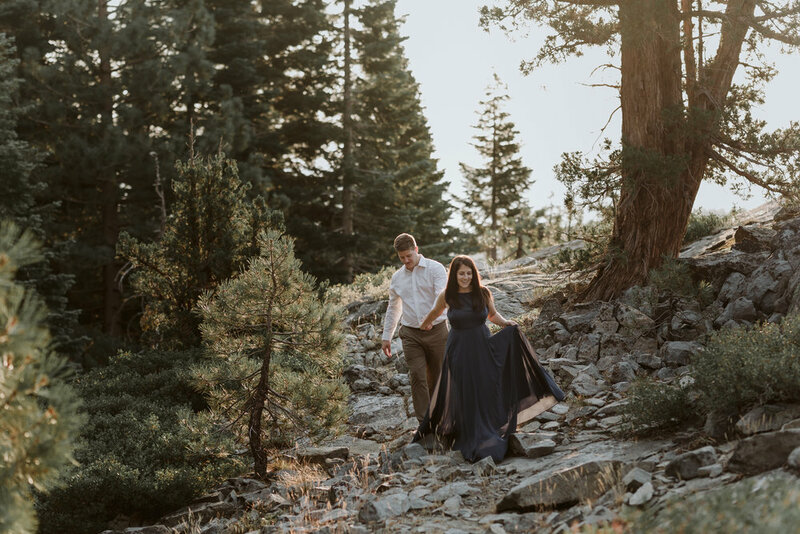 Kaitlin and Pauls adventurous engagement session in Lake Tahoe, bordering California and Nevada, was my first time visiting Tahoe in the summer and holy SMOKES - what a beautiful place! 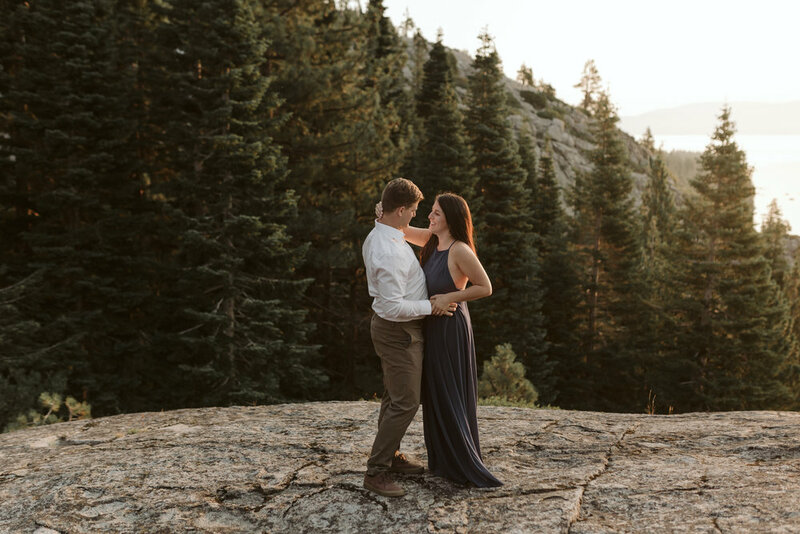 We were supposed to shoot in Yosemite National Park - a favorite of Pauls, and what would have been a first time experience for our Virginia native Kaitlin, but wildfires had other plans. 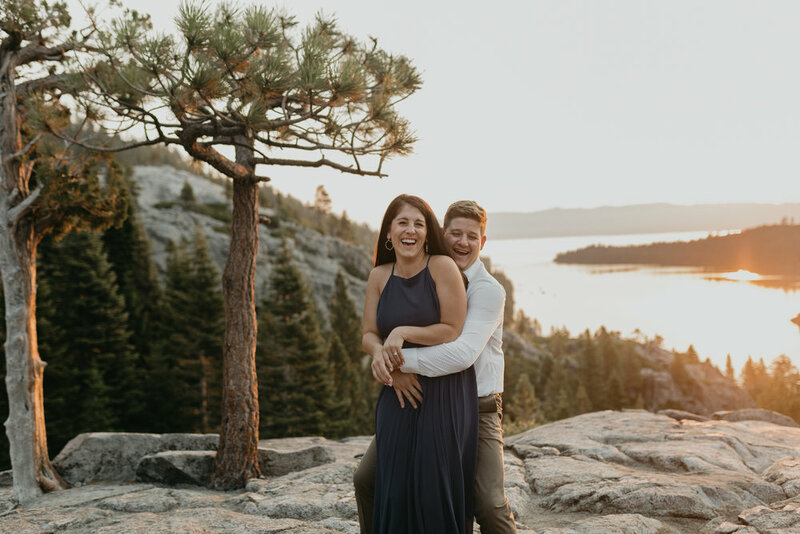 Last minute we switched to Lake Tahoe and this land full of clear blue water, pine tree’s, and summer spirit did not disappoint. We met up a few minutes before sunrise, but before we met, my day started with a search for a place open serving coffee so I could grab some caffeine for all of us. 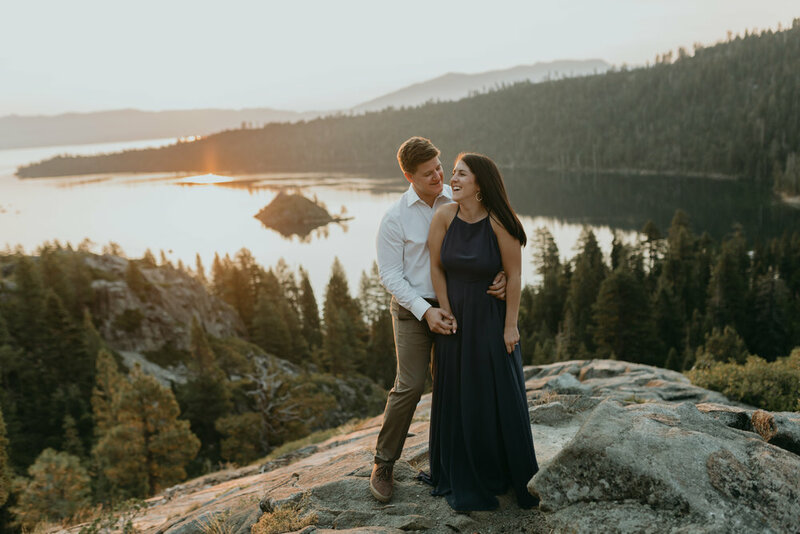 Kaitlin and Paul were at a music festival in San Fransisco the two days before our session, and left in the early hours of the morning to make the 3+ hour drive to Tahoe - yep. They get it DONE. Caffeine in hand, I made my way up a long winding road to our meeting point. 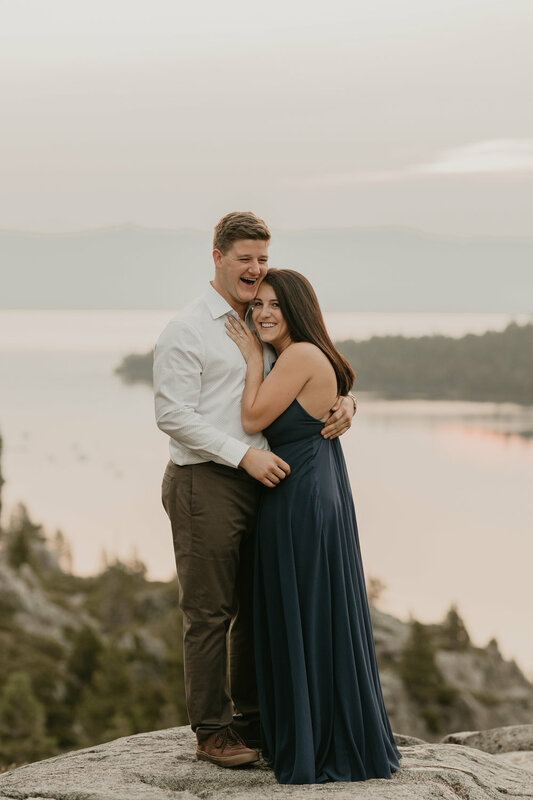 The sun was just beginning to rise when we met up, so after a few hugs, smiles, and swig of coffee, Kaitlin walked over to the viewpoint and let out the best “oh my gosh” all the heart eyes kind of gasp which was well deserved cause, dang Tahoe, you’re good. We drove up the road a bit more to our shooting location and began to play. The sunrise couldn’t have been more perfect, and we were the only souls around. 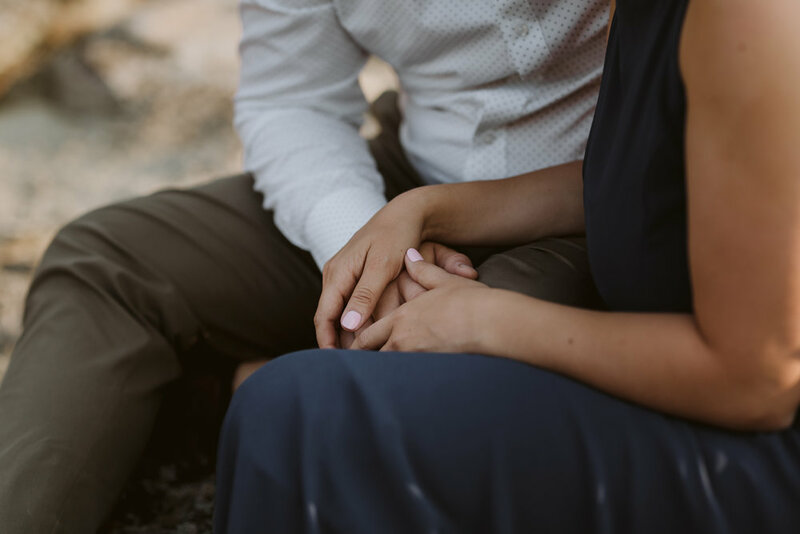 Most ideal? Absolutely. 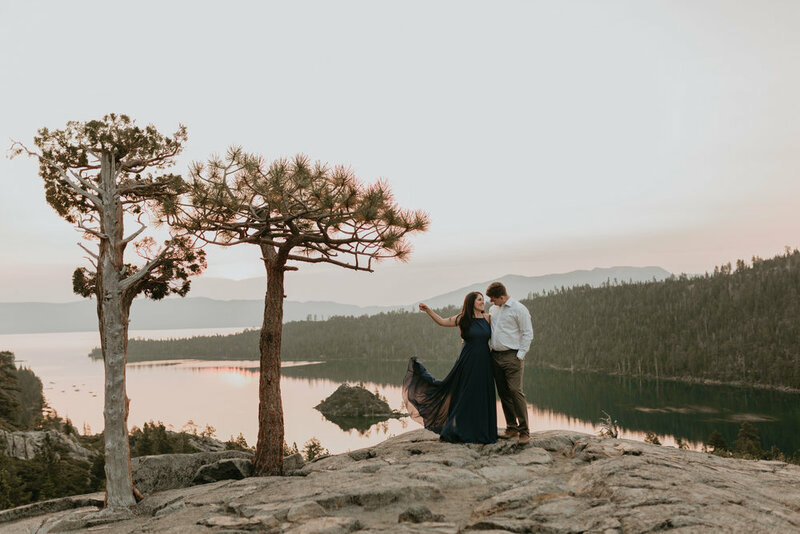 Planning an adventure around Lake Tahoe, or an elopement near by in California or Nevada? 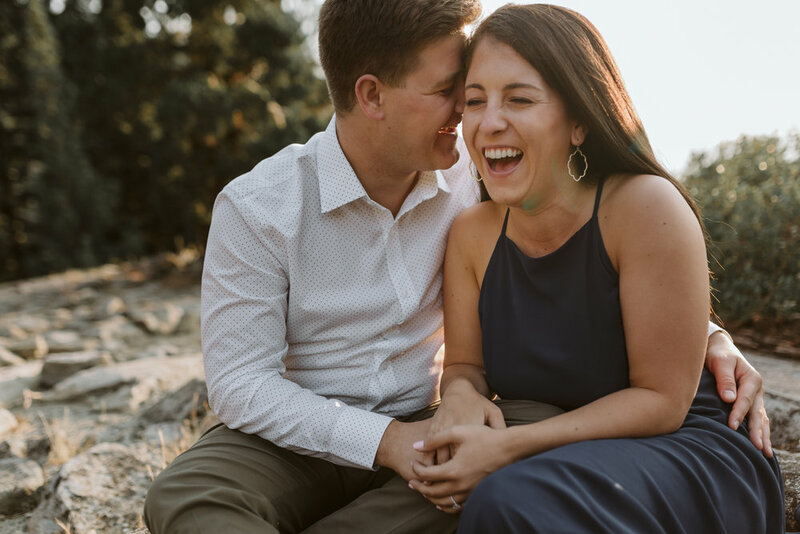 Get in touch below and let’s start planning your best adventure yet!